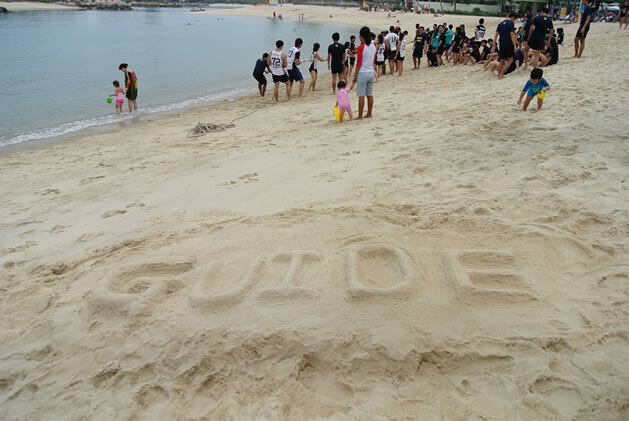 GUIDE is a multi-purpose machine learning algorithm for constructing classification and regression trees. It is designed and maintained by Wei-Yin Loh at the University of Wisconsin, Madison. GUIDE stands for Generalized, Unbiased, Interaction Detection and Estimation. Development of GUIDE is supported in part by research grants from the U.S. Army Research Office, National Science Foundation, National Institutes of Health, Bureau of Labor Statistocs, and Eli Lilly. Work on precursors of GUIDE was additionally supported by IBM and Pfizer. Generation of LaTeX ( MikTeX for Windows) source code for the tree diagrams in PostScript (.ps) format. The LaTeX code requires the PSTricks package which is normally included in most LaTeX distributions. See PSTricks User Guide and TUG India doc for some excellent documentation on PSTricks. The .ps files may be converted to pdf with ps2pdf (which comes with Ghostscript) or to enhanced windows meta file (.emf) with pstoedit. Emf format is best for use in Word and PowerPoint documents. For a short introduction to LaTeX, look here. See Table 1 for a feature comparison between GUIDE and other classification tree algorithms. See Table 2 for a feature comparison between GUIDE and other regression tree algorithms. Loh, W.-Y. (2012), Variable selection for classification and regression in large p, small n problems, Lecture Notes in Statistics---Proceedings, A. Barbour, H.P. Chan and D. Siegmund (Eds. ), vol 205, Springer, pp 133--157. Loh, W.-Y. (2008), Classification and regression tree methods, Encyclopedia of Statistics in Quality and Reliability, F. Ruggeri, R. Kenett, and F. W. Faltin (Eds.) Wiley, pp. 315-323. Loh, W.-Y. (2008), Regression by parts: Fitting visually interpretable models with GUIDE, Handbook of Computational Statistics, vol. III , 447-469, Springer. Loh, W.-Y., Chen, C.-W., and Zheng, W.(2007), Extrapolation errors in linear model trees, ACM Transactions on Knowledge Discovery in Data, vol. 1, issue 2, article 6. DOI. Loh, W.-Y. (2006), Regression tree models for designed experiments, Second Lehmann Symposium, Institute of Mathematical Statistics Lecture Notes-Monograph Series, vol. 49, 210-228. Chaudhuri, P. and Loh, W.-Y. (2002), Nonparametric estimation of conditional quantiles using quantile regression trees, Bernoulli, vol. 8, 561-576. Chaudhuri, P., Lo, W.-D., Loh, W.-Y., and Yang, C.-C. (1995), Generalized regression trees, Statistica Sinica, vol. 5, 641-666. Chaudhuri, P., Huang, M.-C., Loh, W.-Y., and Yao, R. (1994), Piecewise-polynomial regression trees, Statistica Sinica, vol. 4, 143-167. GUIDE compiled binaries: The following executable files may be freely distributed but not sold for profit. guide.gz for 64-bit Linux (compiled with Intel Fortran Compiler 18.0.1, CentOS 6.10). Puts scratch files in TMPDIR if the environment variable is defined, otherwise in the current folder. Faster on Intel processors. guide.gz for 64-bit Linux (compiled with NAG Fortran 6.2 (Chiyoda) Build 6207, CentOS 6.10). Puts scratch files in TMPDIR if the environment variable is defined, otherwise in /tmp. Faster on AMD processors. guide.gz for 64-bit Linux (compiled with GFortran 7.3.0, Ubuntu 18.04.1). Puts scratch files in TMPDIR if the environment variable is defined, otherwise in /tmp. Copyright (c) 1997-2019 Wei-Yin Loh. All rights reserved. Redistributions in binary form must reproduce the above copyright notice, this condition and the following disclaimer in the documentation and/or other materials provided with the distribution. THIS SOFTWARE IS PROVIDED BY WEI-YIN LOH "AS IS" AND ANY EXPRESS OR IMPLIED WARRANTIES, INCLUDING, BUT NOT LIMITED TO, THE IMPLIED WARRANTIES OF MERCHANTABILITY AND FITNESS FOR A PARTICULAR PURPOSE ARE DISCLAIMED. IN NO EVENT SHALL WEI-YIN LOH BE LIABLE FOR ANY DIRECT, INDIRECT, INCIDENTAL, SPECIAL, EXEMPLARY, OR CONSEQUENTIAL DAMAGES (INCLUDING, BUT NOT LIMITED TO, PROCUREMENT OF SUBSTITUTE GOODS OR SERVICES; LOSS OF USE, DATA, OR PROFITS; OR BUSINESS INTERRUPTION) HOWEVER CAUSED AND ON ANY THEORY OF LIABILITY, WHETHER IN CONTRACT, STRICT LIABILITY, OR TORT (INCLUDING NEGLIGENCE OR OTHERWISE) ARISING IN ANY WAY OUT OF THE USE OF THIS SOFTWARE, EVEN IF ADVISED OF THE POSSIBILITY OF SUCH DAMAGE. The views and conclusions contained in the software and documentation are those of the author and should not be interpreted as representing official policies, either expressed or implied, of the University of Wisconsin.